The last day of the immersion ended with John talking about taking time to absorb the teachings. It is part of the spanda, to pull back for a bit and just let it all soak in, so to speak. I ended my last night with the merry band over Indian food. John had given a marvelous talk on wabi-sabi, a Japanese aesthetic, and had, as always, managed to weave the underlying principles of tantra into it. It was a very satisfying way to end the week. I said goodnight to the merry band that night and spent the next morning sleeping in a bit and packing my bags. Madoka from Studio Yoggy had mentioned that there was a large temple in Tsurumi where I was staying. I hadn’t been able to see it in all the rain but apparently it was on a hill behind the station. I put my large bags in a locker at the station and started to walk up the hill. It was pouring so hard that the water was splashing up the back of my legs. My crazy orange buddha umbrella my sister got me was a life savour. Thanks Michelle! I really don’t know how I could have missed this temple. It took up the entire hillside. It was acres of grounds. I found a set of stone steps and made my climb through dripping hydrangeas to the top of the hill. The graveyard was spread out before me. 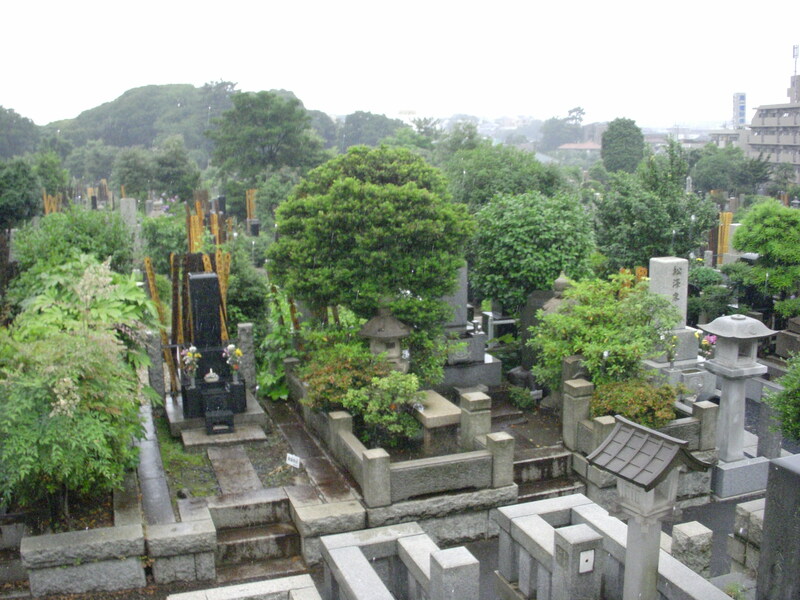 Rather than morbid or depressing, I find Japanese graveyards quite lovely and colourful. 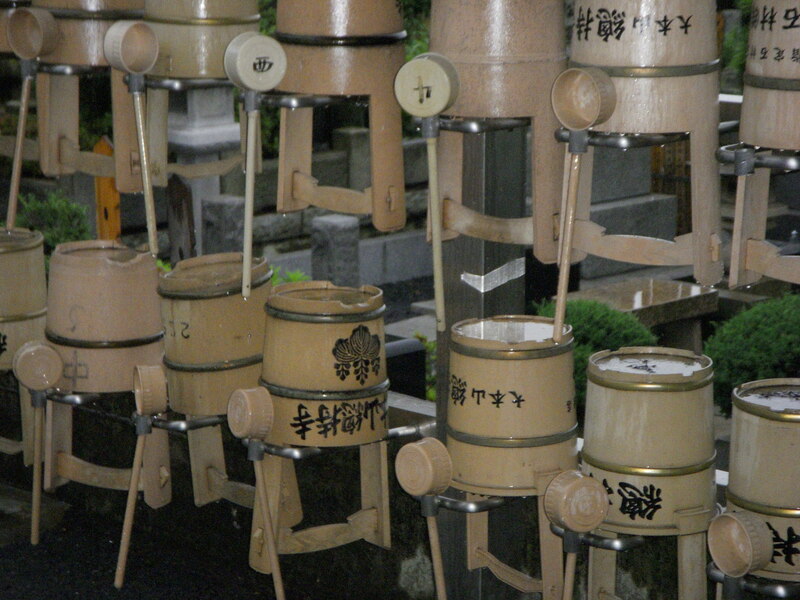 The bamboo buckets to wash the gravestones were all lined up with family names and the whole place was orderly and well kept. I made my away around the graveyard to what had to be the biggest temple I have ever seen. I mean-this place was huge! 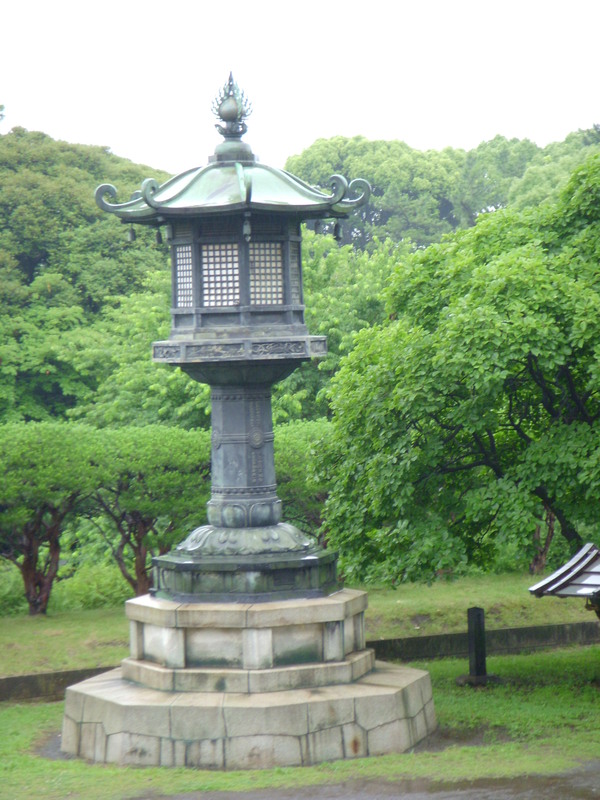 Even the iron lanterns outside the entrance were at least 25 feet high. I took a quick peek in the doors but a funeral ceremony was going on and I didn’t want to attract too much attention, so I ventured back out into the rain. I wandered through the grounds to multiple smaller buildings and temples. 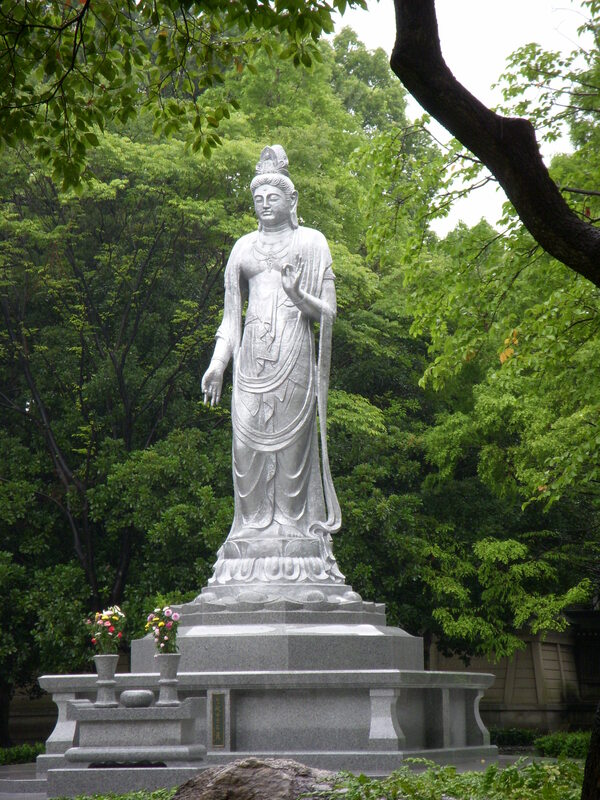 A beautiful Kannon ( Bodhisattva) graced one of the temples. Her sweet face was so serene in the pouring rain- not minding the weather at all. A young Buddhist monk hurried along beside me under an umbrella and I asked him quickly if there was a place to meditate. He nodded and asked me to follow him. We wound our way through a long corridor and then into another building that turned out to be the reception hall. He gestured to the entrance and scurried off again into the rain. 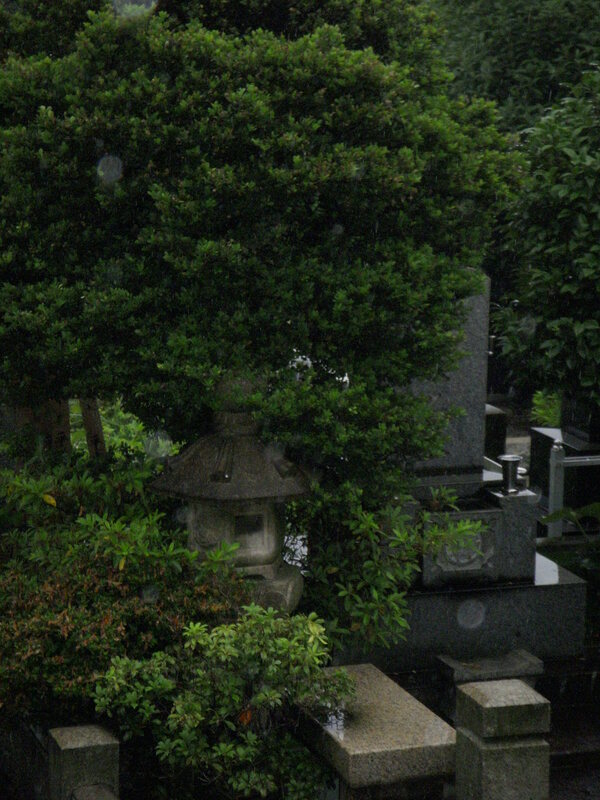 I felt a little out of place- everyone there was Japanese and dressed in black for funerals or death rituals. Here I am in a t-shirt, pants and orange umbrella! Good grief Leanne- could you stand out more?? Another monk approached me and I asked once again about meditation. He looked a little puzzled and invited me in to the office. He explained that today was Sunday and they were very busy. He said there would be a zazen sitting at 12:30 to 2:30 for a fee. I explained that I was leaving Japan that day and just wanted some where quiet to sit and meditate and that I had to leave by 1:30 or so to catch my plane. The 12:30 sitting wouldn’t give me enough time but I thanked him for the information and went to excuse myself. He asked me to wait again and got on the phone. When he got off the phone he started to ask deeper questions about my interest in Buddhism and meditation and suddenly he became very friendly and animated. He made another phone call. The next thing I knew there was a young monk named Yanagi by my side. He was to give me a personal tour of the entire facility and grounds and do a personal zazen meditation with me! They handed me a guide book in English and Japanese and suddenly I was on my way. Yanagi-san was about 22 years old. He had a very serious quality about him and he was very careful to make sure that I understood all the rules. “Walk left, don’t talk here, please follow my lead, etc.” He spoke no English. We started in the long hallway again and he explained how the corridor had three gates- a morning gate, a mid-day gate and an evening gate. 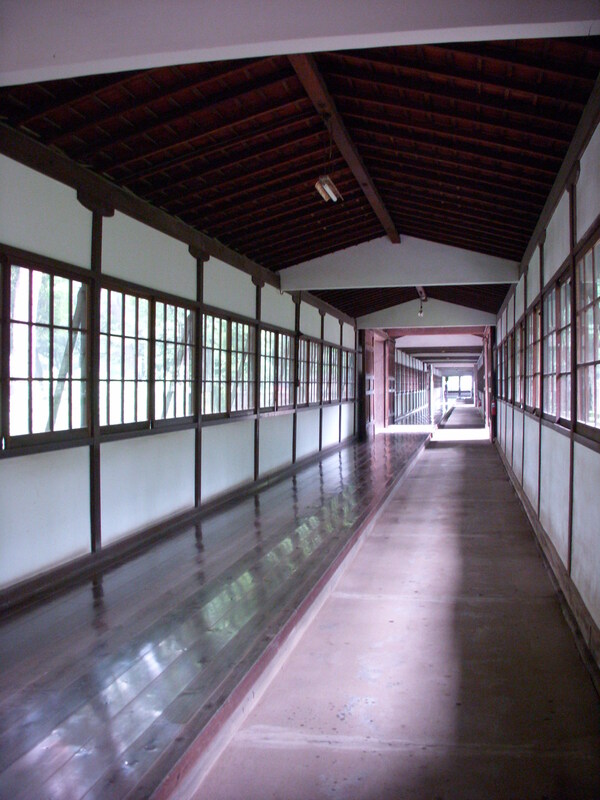 The wooden floor section of the corridor gleamed and Yanagi explained that it was part of the monks-in-training duties to polish it every morning by running up and down the corridor on their hands and knees with cloths. The corridor was used to seperate parts of the temple so there was less chance of a fire destroying the whole complex. Which is apparently what happened in the 1800’s when the temple was located in Ishikawa prefecture- only two structures survived the 1898 fire. 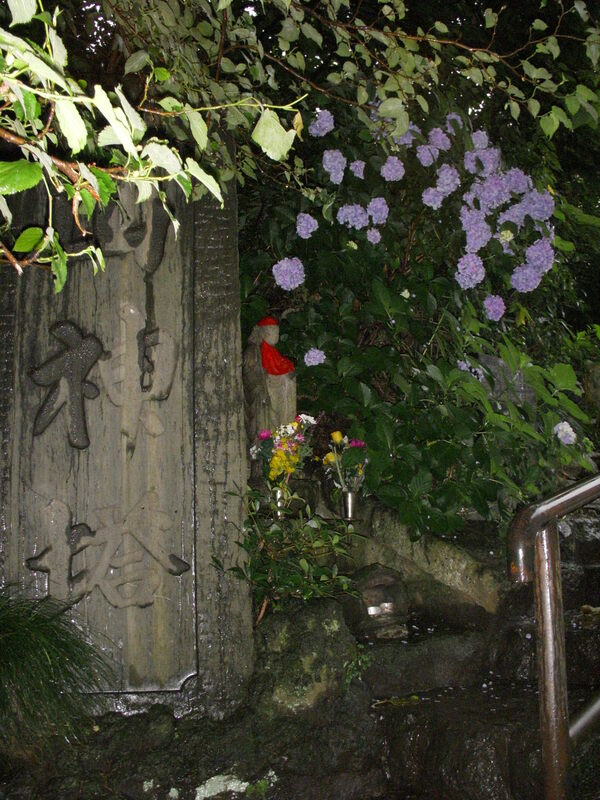 The temple was relocated to it’s current location in Tsurumi Hills in 1911. Soji-ji temple is a soto zen monastery and today is one of the leading centers of SotoZen faith in the world. Yanagi-san led me to the zazen room or sodo. He carefully instructed me on the order of our movements and the preperation of the zaibuton, or pillow, we would sit on. We walked in- bowed- and then picked up the zaibuton and turned it on its side and carefully squished it around to make it more like a little ball. We then carefully turned the tag side away from us. We sat down on the ledge, placing the pillow underneath us. We then crossed our legs and carefully placed our slippers under the ledge. We then sat in full lotus (Yanagi-san was impressed that I didn’t find it painful!) and used our hands to spin us around to face the paper wall. We then placed our left hand in our right and joined the edges of our thumbs together to make an egg like shape. And so began zazen. I remembered what John had been teaching all week and I just opened up my ears. The rain poured down harder and harder and the chanting of the monks mixed with the echos of bells and drums. All the sounds of ceremonies of death mixed with the sounds of nature. 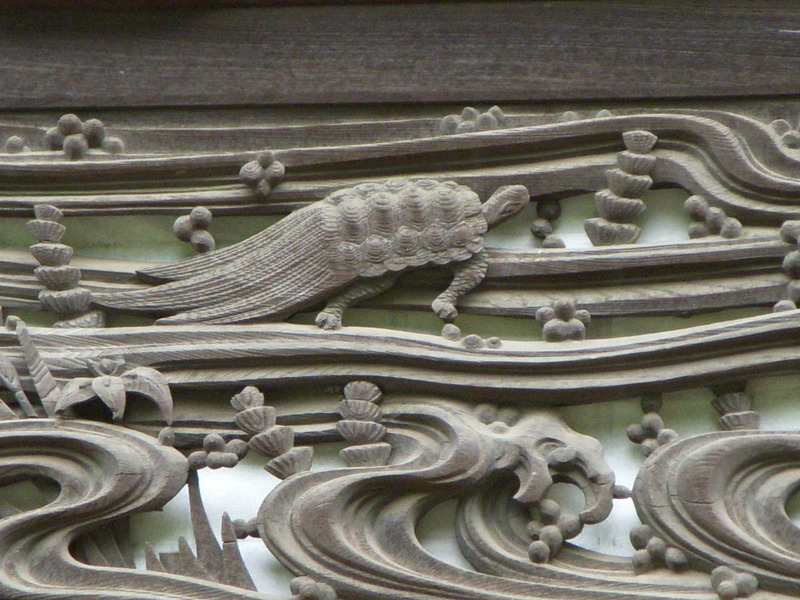 Birds, frogs, voices and the rain – the sounds of life echoed along with the sounds of death. The song of nature, the song of dark and light, the pulsation of Grace. The sounds just became clearer and clearer and suddenly I could hear Yanagi-san slipping on his geta. We had sat for over 30 minutes and it had felt like 5! We continued on our tour and rather than walking through the rain, we quietly walked through beautiful passages underneath the complex. Pictures outlining the rituals and halls of worship were carefully hung and backlit and we moved through the old and the new. We passed the bell and drum tower, a tea ceremony room and garden, living quarters for the monks, and the head abbots official chamber for receiving guests. All the screens in that room were exquisitely painted and were all works of famous artists from the Taisho era ( 1912-1925). The main hall, or Daisodo, is one of the largest in the world: 1000 tatami large! Most of the other temples I have been in would be about half the size of Daisodo. The pillars were of concrete and it was definitely built to last. 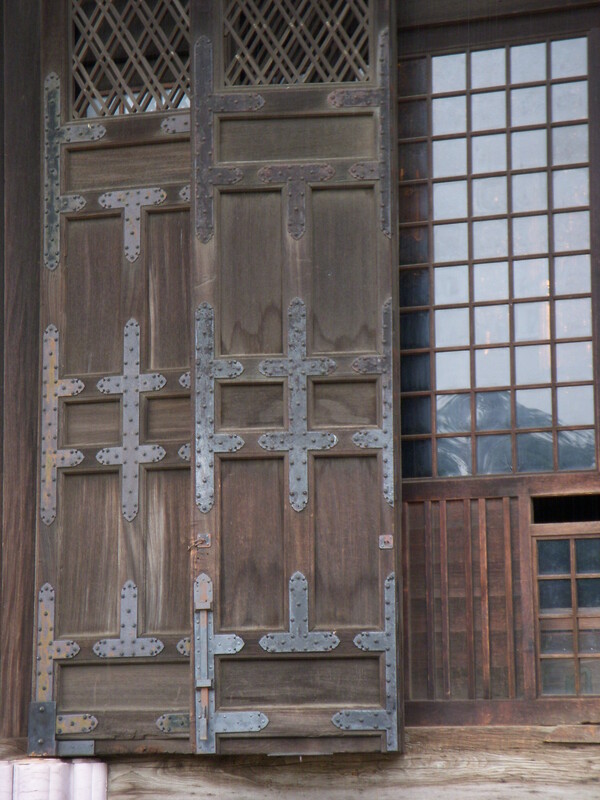 The oldest structure on the property is the Butsuden or Buddha Hall. It is also referred to as the great treasure hall. 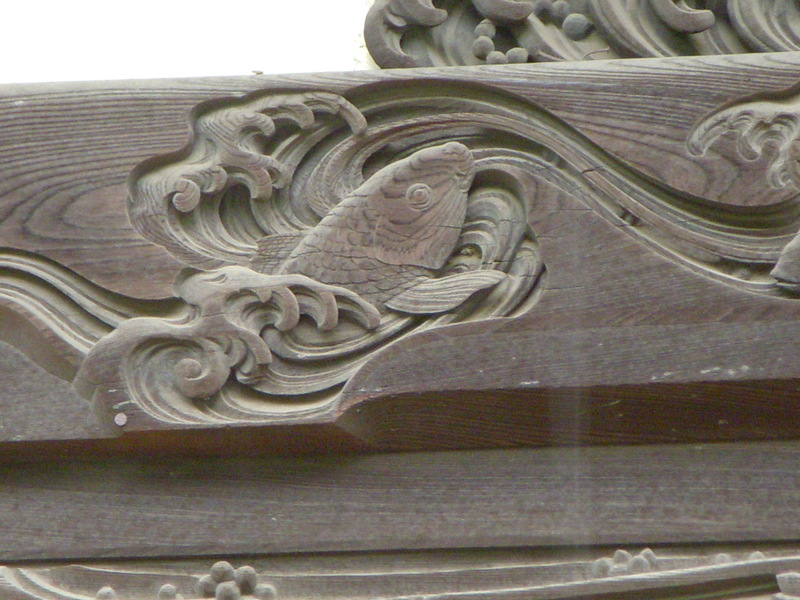 The Kannon that graces the side of the hall is a fairly new addition. When you stand in the mid-day gate of the corridor you look straight at the Butsuden. It is like a framed picture. What thought went into all those details. Yanagi-san and I finished up near the bathrooms. Apparently you pray before you enter there too- as the shrine at the entrance of the washrooms indicated. 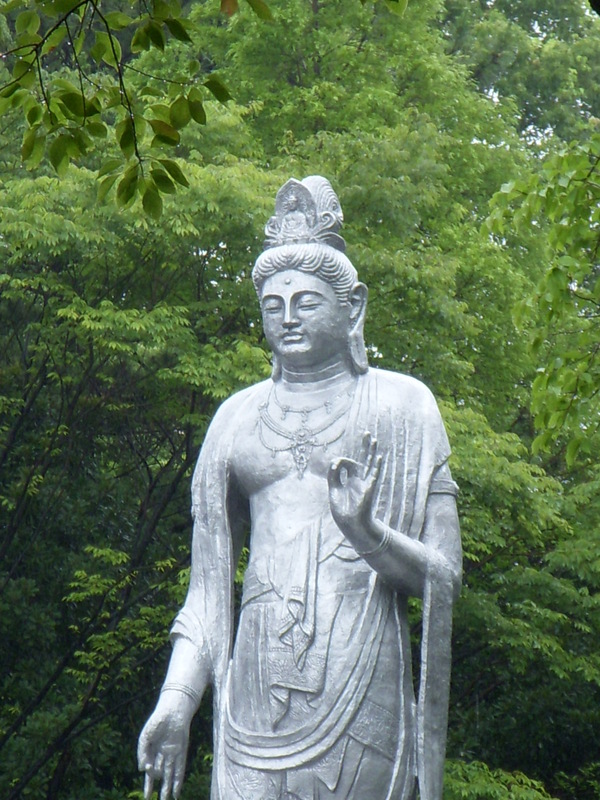 The guardian deity there cleanses impurities…. I had the most marvelous tour and I managed to make it back just in time to see the “official” zazen group of Japanese and tourists leave for their sitting. I was asked for no donation or payment and was cheerfully invited to come back anytime. The monk that made all the arrangements for me gave his card and encouraged me to continue my studies. I went in to the gift shop of the temple that sells incense, beads, statues and other Buddhist paraphernalia. I spotted a plain wooden jizu, or japanese bracelet mala, in a case and was immediately attracted to it. It was made out of sandalwood and smelled of worship and time- just like the temple itself. It was the perfect momento of not just a perfect day- but a perfect trip. Thank you to all of those that made this experience in Japan so special and to all of those that followed me vicariously through my writings. Om namah shavaya.